Green Aventurine & Citrine will usher abundance, love and light into your home. 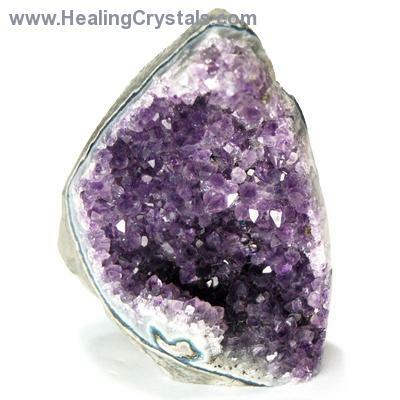 Since this is almost always the core of the home and the place where you may have visitors I like high vibrational multi purpose crystals like Clear Quartz and Amethyst to radiate positive energy. Rose Quartz and Blue Lace Agate are perfect for your daughters and your bedrooms. They promote peace and love. Garnet is nice if you need a little passion and Fluorite promotes health and well being. Red Jasper & Mahogany Obsidian - earthy grounding crystals that connect the family. Amazonite for strength and fortification and Sodalite for warmth and nurturing. Finally you might also want to place some protective crystals in the corners of the home (it can be outside or inside) like Hematite or Black Onyx. Thank you again for your question and for your support of Healing Crystals.com. I hope that I have been able to help and that you will not hesitate to contact me with any other questions. Wishing you lots of Love and Light.